Through the trees of Brühl’s garden reveals a wonder of baroque design. Tomorrow, to commemorate the International Day of Peace, A European-wide coordinated bell ringing will take place. 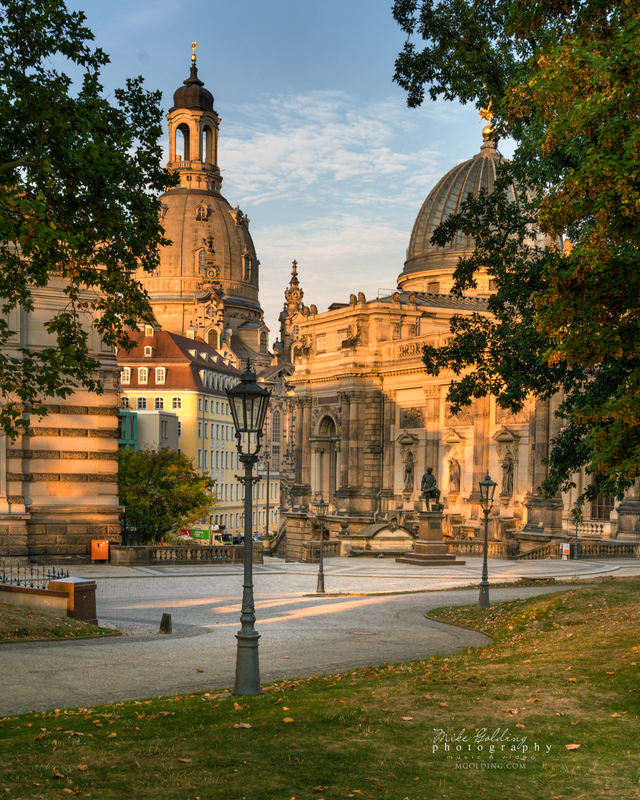 Dresden is participating in two locations, Leuben and here in the Frauenkirche. I am honoured to have been invited into the bell tower of this magnificent place to watch the bells ring ! I am very excited and would like to thank frauenkirchedresden and sgaringheritage for the invitation. Stay tuned tomorrow for a new picture of this amazing church and follow my stories for the full “inside” exclusive of the seldom seen Frauenkirche bell towers. And hopefully a glimpse of the Jesaja bell which is 1.4m in diameter !